Sold. For sale. Read the prospectus. The former Cloister Restaurant and site of the former home of Mark Twain in Buffalo has been acquired by the younger brother of downtown developer and restaurateur Mark Croce. 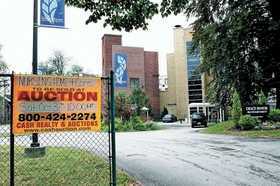 The bankrupt former Grace Manor Nursing Home near Kleinhans Music Hall will be auctioned off Oct. 31 by Cash Cunningham in a proceeding that is already garnering interest, even from out of town. First Niagara Financial Group plans to raise another $400 million by selling additional shares of the expansion-minded banking company's stock.